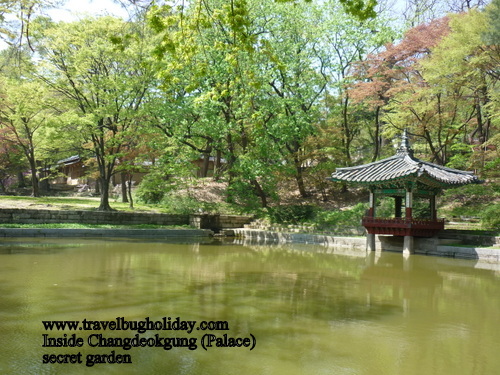 Before entering Changdeokgung, I had a lovely lunch- Bonjuk or “rice porridge” mixed with seafood. You can also have it with meat or vegetable. Cost me 9,000 won for a bowl. 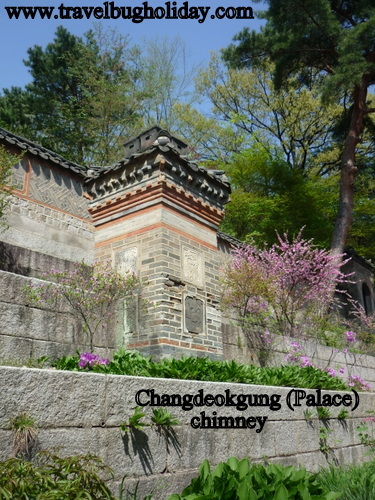 It is in one of the shops in the lane just before Hyundai building, before you reach Changdeokgung (Palace). 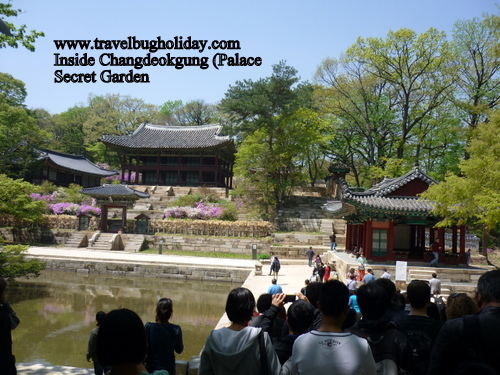 Followed the highway sign "Changdeokgung" pass the Hyundai building. 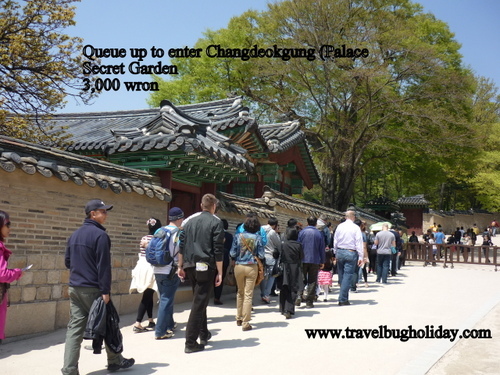 There is an entrance fee to enter Changdeokgung (Palace). This 600 year old UNESCO World Heritage Site is worth seeing. 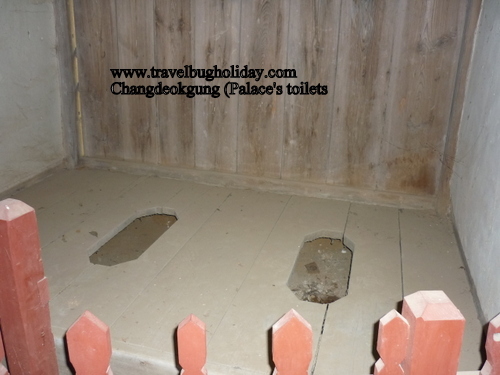 This palace is one of the historical buildings that had not been totally destroyed during the Japanese invasion. 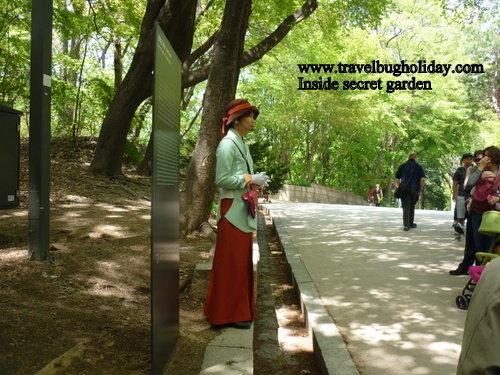 You can only get into the secret garden with a guided tour. 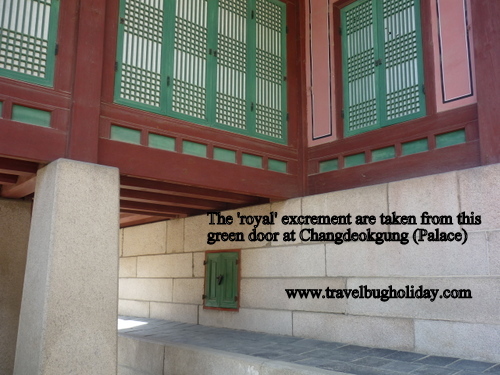 3000 won for admission to the Palace. I went to the Secret Garden tour at 1.30pm. Tour end at 3pm but I wanted to join the last Palace tour at 2.30pm so had to cut short my secret garden tour. I should have joined the Secret Garden tour at 3.30pm as the guided tour of the Palace is from 2.30 - 3.15pm, leaving me plenty of time to join the Secret Garden tour. I still could have joined the 3.30pm garden tour with my original ticket but I was tired by then. How to get there: Took the subway to Anguk Station at exit no 3.